Ten years after the financial crisis, the property industry is seen as exceptionally strong. 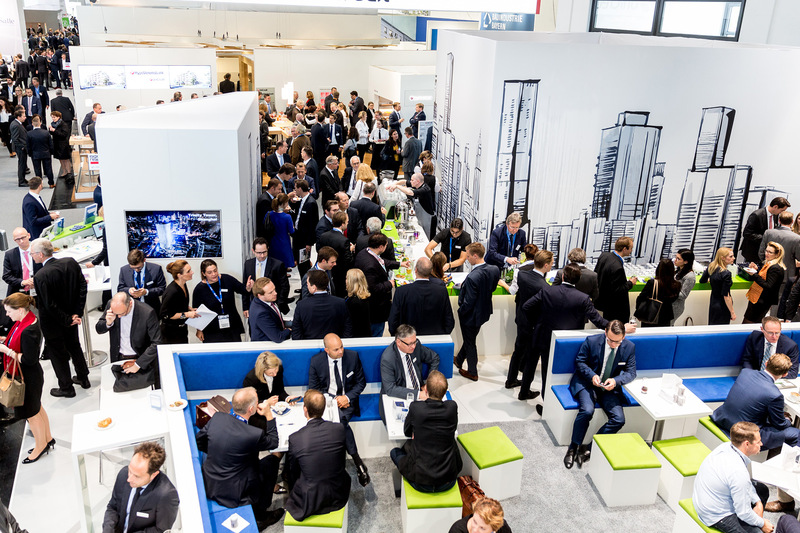 EXPO REAL in Munich is Europe’s leading industry gathering for property and investment. 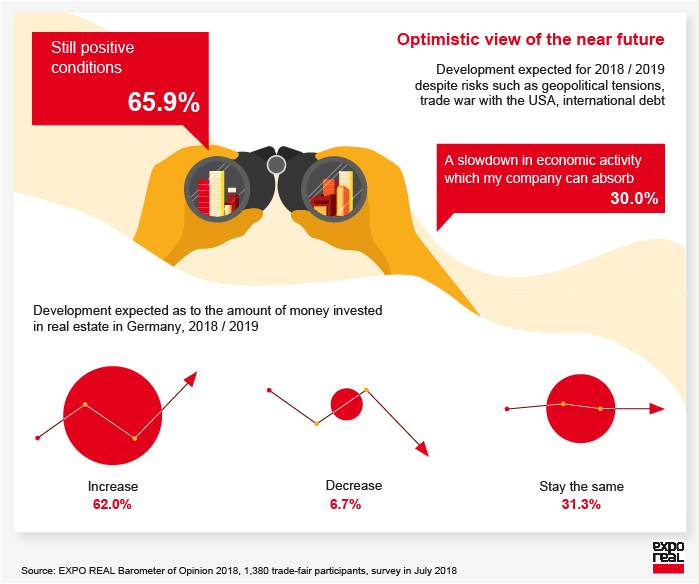 The sector remains confident, as is confirmed by the high level of participation in the fair—and by the EXPO REAL Barometer of Opinion. EXPO REAL reflects the entire value chain of the property industry. The new exhibitors this year include Avviva Investors, Heitman, Marjan Island, ambitious urban development projects from Riga in Latvia as well as the Principality of Andorra, the cities of Liverpool and Sheffield—and, from Bulgaria, the city of Sofia is exhibiting for the first time. There are numerous country stands too: Luxembourg, Holland Metropol and Holland Property Plaza, Club France, UK & Ireland Pavilion, Suisse Circle, Austria and Europa’s Mitte as well as the North American Meeting Point. The space for the British joint stand is doubling to 140 square meters. Cities and regions from all over Europe are represented, the province of Murcia in Spain is attending for the first time. Serbia is returning after a hiatus of some years. Southeast Europe is represented in full except for Montenegro, Albania and Croatia. The real estate industry is pressing ahead with digital transformation. 40.1 percent of respondents in the EXPO REAL Barometer of Opinion indicated that their companies already offer digital products and services. At EXPO REAL, more than 60 technology companies are exhibiting. And the question ‘How radical is digital?’ runs through the entire conference program in various forms—trade discusses how it can combine online and offline, for instance, and logistics talks about managing ‘the last mile’. Presenting at the Intelligent Urbanization Forum are four pioneering projects and initiatives for urban development: the British initiative Future Cities Catapult; the energy-neutral Whisper Valley housing development from the USA; and from Lithuania, Vilnius is exhibiting, as is the neighborhood development Werksviertel in Munich. The Urban Innovation Seminars put the focus on ports, innovation quarters and urban quality of life; at the City Leader Summit, mayors and CEOs of cities and municipalities interact to discuss common challenges. The future of the property sector: how radical is digital? International capital allocation: who is investing where, in what, for whom and why? Ten years after the financial crisis: how relaxed are monetary policy and lending? Europe—whither will you? How sustainable is the EU?